PERFECT FOR BEGINNERS: Everyone has to start somewhere. 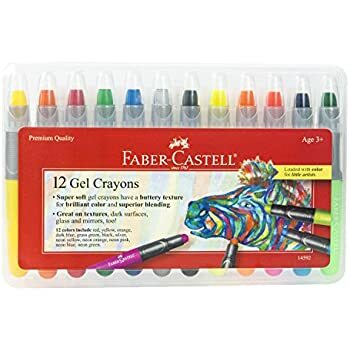 The Faber-Castell Gel Crayons are incredibly beneficial for teaching individuals the basics of drawing, coloring, and blending. INCLUDES CARRYING CASE: To make it easy for anyone to be an artist on the go, this kit of gel crayons includes a sturdy plastic storage case and book for easy transportation. 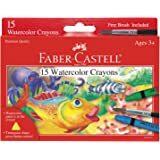 SPECIFICATIONS: Package includes (12) Faber-Castell Gel Crayons, including red, yellow, orange, dark blue, grass green, black, silver, moon yellow, moon orange, neon pink, neon blue, and neon green and (1) plastic carrying case. Son los mejores crayones que he usado. 3.0 de 5 estrellasJust adequate. These gel crayons have nice rich colors. If you think you're getting a less expensive Gelato, you'll be disappointed. These work like Gelatos and will do anything Gelatos will do but the result will not be nearly as satisfactory. 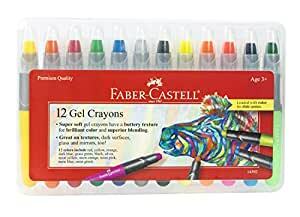 I bought these for a granddaughters hoping they would be a good substitute for Gelatos and coming from Faber-Castell, I was hoping for more. This sounds very critical so I must say that you get what you pay for. They are usable, the colors are nice, the quantity of product is good. 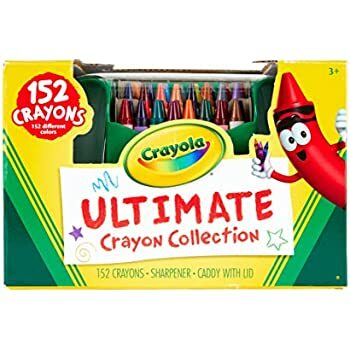 I'll share my Gelatos when the girls are Bible Journaling as these crayons could possibly damage the Bible pages because they aren't nearly as gentle as the Gelatos. I've always felt that purchasing a product for children or gchildren that I wouldn't use sort of sets them up for disappointment and I don't like that. 3.0 de 5 estrellasNo purple!!! I usually love everything Faber Castell makes. 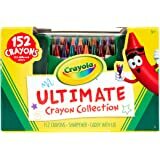 I am an art teacher, and so I chose these gel crayons over others because of the brand's reputation. While the quality of these gel crayons is good, there is one major problem with this set! There is NO PURPLE!!! You kind of need purple, folks! I tried mixing blue and red, but it did not make a nice purple at all. I don't need silver or neon yellow, which are included in the pack. I DO need purple! I would like to see a bigger set of these with all the primary, secondary and intermediate colors in it. I would rather have pastels than neon. They are too broad for anyone who values precision, and too sloppy for anyone who cares about neatness. Most of the crayons shed little bits of themselves when I used them. I'm an adult, so if I make a mess I can clean it up. A little kid might soon be covered in smears and flakes of colored crayon. It is a shame, because the texture would be really nice if only the crayon would stay in one piece and not leave little crumbles on the paper. The color selection is also an issue. There are five colored crayons in regular hues, then five more of the same colors in neon hues, and then there are black and silver. There's no white (arguably a useless crayon) and no purple and no brown. Also... I thought the plastic case (which I generally think is great) was a bit oily when I unwrapped it. Now I'm not sure if the perceived oil came from inside the plastic wrapper, or outside the plastic wrapper (maybe from a different source entirely). If it's possible for the gel ingredients to separate, I'd worry about that too. I am a HUGE fan of Fabre Castell art products. Their crayons are super fantastic. 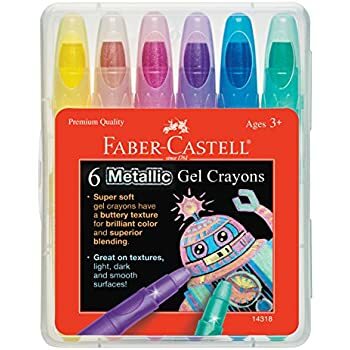 When I saw these gel crayons I thought I would order them and see how I liked them. 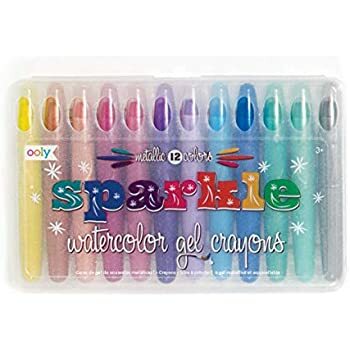 First of all, gel is the perfect description for these crayons. They slide on the paper with such ease that it is a pleasure to have them in your hand. 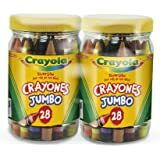 These gel crayons would be perfect for a little boy that has no interest in coloring or writing at all. The lusciousness of the texture on the paper is something to be experienced. Any child would immediately fall in love with coloring in writing upon using these crayons. In the future, I would love to see Faber Castell make these in a thinner crayon. You will not be sorry ordering these crayons. They are really wonderful to color with. These are the first crayons my kids reach for every time. 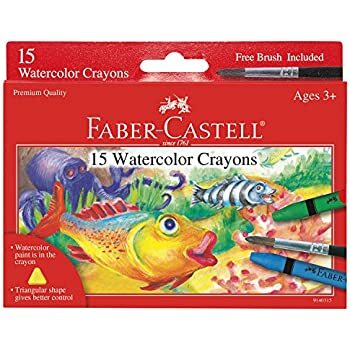 They are very similar to oil crayons but much more expensive. It would be nice if they offered some sort of refill kit so you could reuse the plastic handles. They ram out so fast we won't be buying them again unless they're half the price.